Cape Town, South Africa has long been known as one of Africa’s most visited cities for quite some time now, but what is it about Cape Town that draws us in? 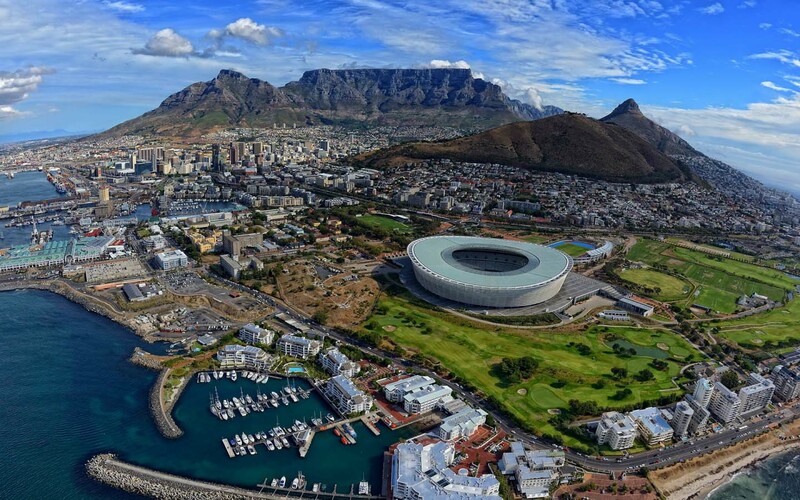 Set on a peninsula wedged between the Atlantic and Indian Oceans with the stunning and iconic Table Mountain as its backdrop, the city of Cape Town sits in one of the worlds most spectacular settings. However, the beauty is not restricted to the city, with visitors having the luxury of taking only a short drive out to some of the most gorgeous white sandy beaches. The city is also well recognized for its harbor, biodiversity, good weather year-round, beaches and various landmarks. In fact, back in June 2010 the city was a host to the World Cup games. The best time to visit Cape Town for a beach holiday is December through April, where you can really take advantage of South Africa’s world class beaches and divine scenery. However, if you are looking for somewhere on the map to conquer your latest and greatest adventure, Cape Town in April through June is the next spot to hit! With the city’s vast biodiversity, hiking is a highly recommended activity with days of crisp and clear air. If hiking and beaches don’t scratch your itch, you can also go whale watching in July through September when the whales migrate in, and the wild flowers bloom along the coastline as the weather warms up. Cape Town will appeal to nearly anyone who’s in the mood for a great trip away. Whether it be for a romantic honeymooner striving for the exquisite accommodations and idyllic views, families with children who can share the white beaches with penguins, and of course the adventure seekers will absolutely relish at the chance to discover the secrets of Table Mountain, which just so happens to be one of the 7 Natural Wonders of the World! Let The Luxury Travel Agency set you up in one of our hand selected properties including The Silo Hotel, the Taj Cape Town, One & Only and more, so you can enjoy one of South Africa’s most magnificent locations in luxury comfort, grace and style. We promise you that after your first visit to Cape Town with The Luxury Travel Agency, you’ll be hungry to return before your tan even has the time to fade.